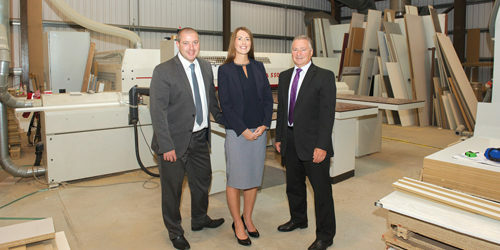 A Broadstairs furniture manufacturer has opened a new chapter after completing a management buyout with the support of Lloyds Bank Commercial Banking. David Bailey Furniture Systems Ltd, which was founded in 1982, design and manufacture fitted furniture for the healthcare, education and veterinary sectors. Satisfied clients include NHS trusts such as Southmead Hospital in Bristol, Great Ormond Street Hospital, Guy’s Hospital and Birmingham Children’s Hospital. Managing Director Trevor Gillman, who first joined the firm as a surveyor in 1990 and soon oversaw an expansion in the company’s healthcare offering, has now used a £110,000 loan, alongside a £300,000 invoice discounting facility - which freed up working capital - from Lloyds Bank Commercial Banking to complete the buyout. He plans to develop partnerships with other likeminded businesses to build upon their already comprehensive range of expertise and offer an enhanced selection of services ensuring they stay ahead of market trends. Trevor said: “Lloyds Bank has made my idea to buyout the management of the company a reality, and I couldn’t be happier with the result. “The team there made it clear from the outset that they believed in me and my plans for the future of the business, and they gave me fantastic advice. Nicky Taylor, a regional manager at Lloyds Bank Commercial Finance who struck the invoice discounting deal, said: “As well as the initial funding for the buyout, it was necessary to free up some working capital within the company. 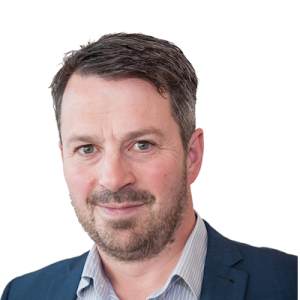 Paul Green, senior relationship manager at Lloyds Bank Commercial Banking, said: “We were impressed by Trevor’s ambition – he’s got an entrepreneurial mind and a great eye for how to improve things. David Bailey Kitchens was incorporated in 1982, and manufactured domestic kitchens for the local Kent market. Canterbury Hospital was the first healthcare client to approach David Bailey Kitchens in 1990, with a requirement for furniture for their new Pfizer Ltd-sponsored building. The company capitalised on this first step into the healthcare market the following year, securing a £200,000 order from Guys Hospital. In 1993 David Bailey’s changed focus to embrace this new market, rebranding as David Bailey Furniture Systems Ltd.
By 2000 David Bailey Furniture had completed the first PFI hospital at Darent Valley Hospital for Carillion PLC, the resulting business relationship culminated in the £1.8million order at Southmead Hospital, Bristol, cementing their position in the healthcare furniture industry. Lloyds Banking Group is committed to helping businesses of all types and sizes, giving them the funding and support they need to grow at home and abroad. We have set out our pledges in our Helping Britain Prosper Plan. For our 2016 SME Charter we have pledged to support 5,000 first time exporters; grow lending to small businesses; help 100,000 start-up businesses; and support small firms for their next phase of growth. Since the start of 2011, we have grown our net lending to SMEs by 28% whilst the market has contracted by 13%.